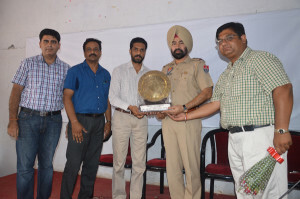 A seminar on ‘Traffic Rules Awareness’ was organized by NSS department of M M Modi College here. 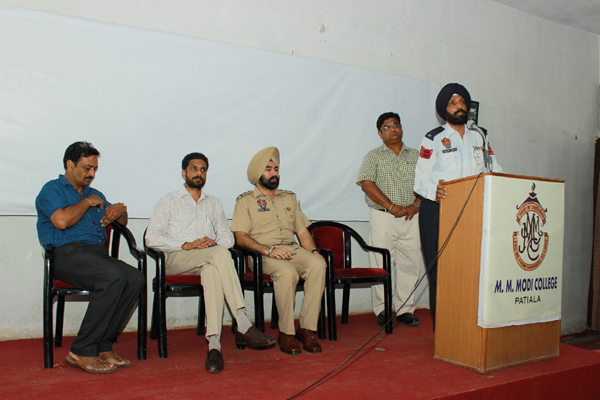 The seminar was organized in collaboration with the Traffic Education Cell of Patiala Police. The expert speaker Mr. Gurjap Singh, Head Constable, Traffic Police, Patiala showed slides to make the students aware of the violation of traffic rules in which people generally indulge and the severity of damage they cause to themselves as well as to others. He cautioned the students to remain aware of such violation of traffic rules so that most precious lives can be saved from untimely deaths. College Principal Dr. Khushvinder Kumar explained that in order to cope up with the fast pace of life, equally fast means of transportation are developed by the man, but in case we are little careless in handling these means, they can bring our life to stand still. Therefore, all people in general and the young boys and girls in particular, must obey traffic rules to enjoy both vehicle as well as journey to the destination. Safe driving is both enjoyable and memorable. Sh. Hardeep Singh Badungar, Inspector, Traffic Police, Patiala told the audience that people in the age group of 17-45 years are most vulnerable people so far as road accidents are concerned. This age group is most productive span in life and therefore, people should be careful to follow all traffic rules while driving to eliminate the risk of accidents. 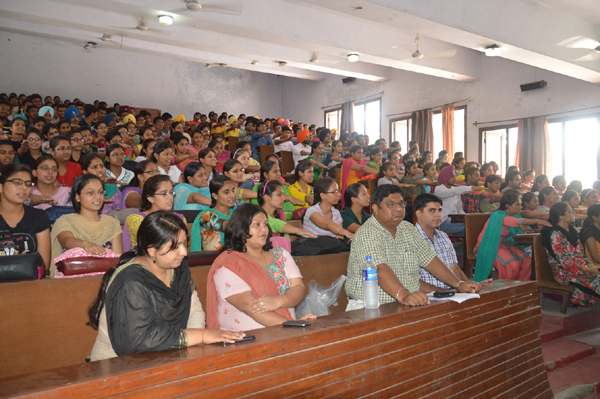 Prof. Harmohan Sharma conducted the stage and Dr. Rajeev Sharma presented the vote of thanks.